Keeping up with the general trend, the Council of Higher Secondary Education, Odisha is planning to declare the Odisha 12th Result 2019 soon. Sources have hinted that the council has already completed the evaluation process on time and is in the process of completing the basic formalities required to declare the OdishaPlus 2 Result 2019. Students have been elated by the news of getting the outcome of their yearlong hard work in the form of Plus Two Result 2019. As per experts, the CHSE Odisha Result 2019 will be declared on time, in line with the general trend on the official website orissaresults.nic.in. This puts the tentative timeline for the declaration of Odisha 12th Result 2019 in mid-May. However, this is merely a tentative date and the final Odisha 12th Result 2019 will be shared by the council soon. We are in constant touch with the CHSEOdisha officials and will provide the latest updates on this regard on this page. Therefore, we request students to bookmark this page and visit on regularly to avoid missing out on any important updates. In addition to this, students can also register for the email alerts for Odisha Result 2019 by submitting their mobile number and email id on this page. The countdown for the declaration of CHSE Odisha Result 2019 is already underway, as the Council of Higher Secondary Education,Odisha is expected to declare the result soon. Although the final date for Odisha 12th Result 2019 is not available yet, experts are suggesting that the results will be declared on time, in line with the general academic calendar. This year, the CHSE Odisha 12th Exam was conducted from 7th March to 30th March. This means that students can expect the OdishaPlus Two Result 2019 to be announced around the same date they were declared last year. Last year, the CHSE Odisha had announced the OdishaPlus 2 Result for Science Stream Students on 19th May. This was followed by the declaration of Plus Two Result for Arts and Science Stream students on 9th June. This year as well, the Council is likely to follow this timeline for the declaration of the Odisha 12th Result 2019. We understand the kind of stress that students waiting for CHSE Odisha Result 2019 are under. Wide spread rumours and speculations add to this anxiety of students. Therefore, to help students stay ahead of such misleading information, our team will be providing regular updates regarding CHSE Plus Two Result 2019 here. Our team members are constantly in touch with the council and are also keenly observing the official website of the Council of Higher Secondary Education, Odisha for any news or notification regarding Odisha 12th Result 2019. Latest news updates will be available on this page. After formal declaration, students will be able to check their results on this page as well. Alternatively, students can submit their mobile number and email id on this page and our team will share curated news updates with you through Email. The CHSE Odisha Result 2019 will pave path for the admission to the undergraduate courses for the class 12 students of Odisha Board. OdishaPlus 2 Result 2019is expected to topple the previous year records, in terms of overall pass percentage and individual records. Students are under tremendous pressure to perform well in the upcoming Odisha 12th Result 2019. Some this pressure can be relieved, if students manage to build realistic expectations with regards to the CHSE Odisha Result 2019. For this, we have presented key main facts and figures from last year’s Board Exam below. CHSE Odisha Result for Arts Stream students was announced on 9th June and 2,30,206 students received the outcome of their hard. Puri emerged as the best performing district with 79.87% Pass Ratio while Nabarangpur was announced as the worst performing district. The declaration of Odisha 12th Result 2019 is a highly emotional time for the students expecting the fruits of their hard work. In the mix of nervousness and excitement of receiving the result, students often get confused about the checking process for OdishaPlus Two Result 2019 online. On top of this, the heavy web traffic might may cause technical problems on the official website leading to needless delay in checking the Plus Two Result 2019. To help students check their results quickly and without any problems, we have listed down the key steps below. After checking your Odisha 12th Result 2019 online on the website, you will also be able to download a softcopy of the marksheet in PDF format. Alternatively, you can also get a printout for the OdishaPlus Two Result 2019 for future reference. After releasing the Odisha 12th Result 2019, the CHSE Odisha will also notify the process for rechecking and re-evaluation of the exam answer sheets. This option is provided to the students who are not sure about the marks obtained by them in the OdishaPlus Two Result 2019. By taking this option, students can get their answer sheets rechecked and revaluated. CHSE Odisha will notify the detailed application process along with the rechecking fees and other details about this option after the announcement of Odisha +2 Result 2019. If you have failed one or more subjects in the CHSE Result 2019, you can register for the Compartmental / Supplementary Exam to improve their scores. The OdishaPlus Two Supply / Compartmental Exam are generally held in the month of June / July. By appearing for these exams, students can improve their score and clear the subjects in which they failed in OdishaPlus 2 Result 2019. The Council of Higher Secondary Education, Odisha is the School Board that monitors, manages and regulates the Higher Secondary Education in the state. CHSE Odisha was founded in the year 1982 with the goal to standardize the higher secondary education in the state. The council has been entrusted the task of regulating and monitoring the education policies in the state in line with the Odisha Higher Secondary Education Act 1982. 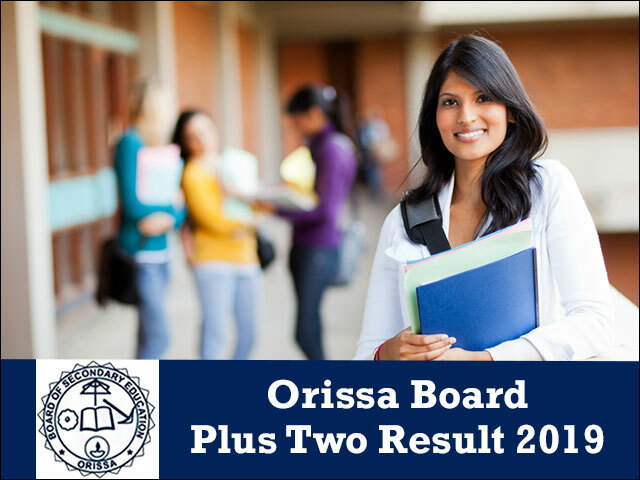 As part of its duties as the State education board, the council also conducts the Odisha 12th Board Exam and releases the Odisha Plus 2 Result every year. The Council of Higher Secondary Education (CHSE), Odisha has announced the results of the CHSE 12th Class Result for Commerce and Arts streams on the official websites of the board i.e. www.orissaresults.nic.in and www.chseodisha.nic.in. The Council of Higher Secondary Education (CHSE), Odisha has announced Odisha Plus-II Result 2018 for Arts and Commerce today on the official website of the board. This year, the Odisha Board conducted the CHSE Odisha Plus-II Arts, Commerce examination from 6th March to 28th March. The Council of Higher Secondary Education (CHSE), Odisha has announced the results of the CHSE 12th Class Result for Science stream today on the official websites of the board i.e. www.orissaresults.nic.in and www.chseodisha.nic.in.